Carpooling has arrived at RIT! The Parking and Transportation Services office has developed a quick carpooling platform for your use via myCourses called RIT RideShare. With gasoline prices still on the rise, more and more people are looking into alternative travel modes (bicycle, motorcycle, transit, and carpooling). 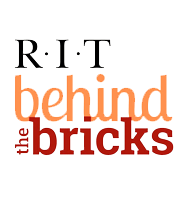 This platform is for RIT members only and you will need your computer account login and password to access it. This platform provides a meeting place for employees and students who are interested in either offering a ride or those looking for a ride into school/work. This is a temporary platform while a more permanent solution is being evaluated. The forum is divided into the City of Rochester, surrounding Towns, Counties and even popular apartment complexes near campus. If you are interested in joining this forum simply forward an email to Dave Baldwin, Transportation Services Manager at dlbfms@rit.edu and he will add you to the forum roster. A direct email notification will be sent when you are ready to access the forum.